Why is the Dept. of Education Building a Massive Arsenal? Home Be The Change Why is the Dept. of Education Building a Massive Arsenal? Since October 2001, the enforcement wing of the Department of Education has issued Glock pistols to its special agents as a matter of course, according to documents obtained by MuckRock. The department has continued building out its arsenal and expanding its agents’ weapons selection using discounted law enforcement rates offered to the U.S. Capitol Police and the ATF. The purchase orders and documents provided to MuckRock user Scriven King— which date back seven years – indicate that the Department of Education’s Office of the Inspector General has purchased more than 200 Glocks for its special agents since 2006, spending more than $80,000 on pistols in that span. 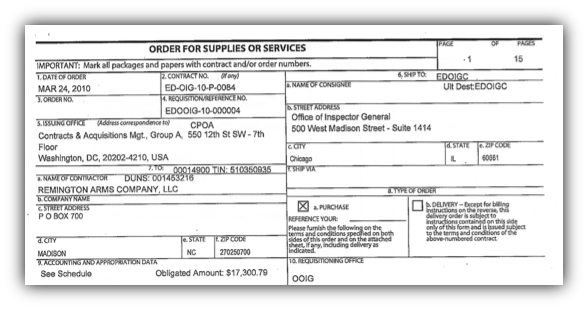 The OIG also spent $17,000.79 on Remington shotguns in September 2010, according to another purchase order. The most recent purchase record in the lot was from July 2013, when the department purchased 30 Glock 27 pistols for $10,800.00. 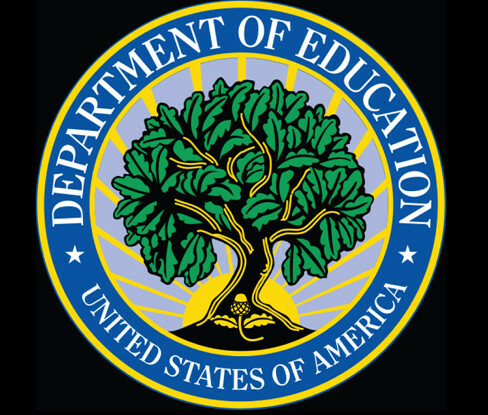 The mission of the Department of Education’s Office of the Inspector General, which purchased the guns, is to “conduct independent and objective audits, investigations, [and] inspections” around misused funds from the Education department, according to the department’s website. A series of memos from 2010 outline the agency’sjustification for purchasing firearms in the first place. “I believe the requested firearms and parts are essential for the safe, effective and efficient operations of [OIG] Investigation Services,” wrote Mary Mitchelson, the former Department of Education Inspector General, in a February 2010 memo.